Ten years after their acclaimed debut 'The Invitation' the British melancholic masterminds return with a surprising album - in every way. Careers in the music industry can be a fickle construct from time to time. There are the ones who lift off right into superstardom without a proper explanation and there are crafted artists who never managed to get a foot in the door of success. 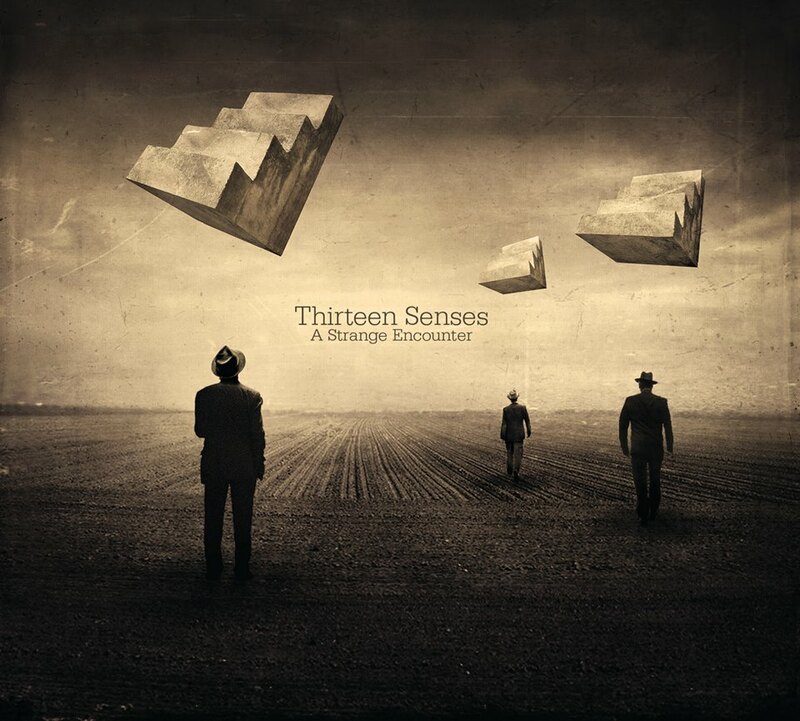 Call it bad luck, call it ‘wrong time, wrong place.’ British indie rock band THIRTEEN SENSES definitely belongs to the unlucky second group. As the quartet is releasing its fourth album A Strange Encounter these days the main surprise itself is the pure existence of that album. Almost ten years ago the Brits released their critically acclaimed debut The Invitation, featuring the ‘mini’-hit Into The Fire. Just in time when COLDPLAY became a stadium band and TRAVIS became irrelevant THIRTEEN SENSES jumped into that gap to fill it with beautiful and heart-wrenching melancholic Britpop. While the debut entered the British Top 20 the 2007 follow-up Contact became a colossal flop. The ironic thing was that is wasn’t a bad record. An early leak of the album combined with a release delay and a few other wrong aspects (like the slightly ‘outdating’ of that sort of music) resulted in a very weak chart performance. The band never really recovered from that ‘shock.’ And although 2011’s Crystal Sounds provided solid quality the re-start didn’t work out the way it was planned. Now, three years later arrives A Strange Encounter. Ten new songs and barely any information about the group’s current status. It feels like the new music is here to stand for itself. Although the single elements – the tender instrumentation, the leading piano and the gentle voice of singer Will South – remain the same, A Strange Encounter feels slightly different than its predecessors. It’s the band’s most experimental and also ambitious album so far, featuring an increased amount of symphonic music and not even the attempt of providing another little single ‘hit’ in the style of Into The Fire. And it’s the THIRTEEN SENSES album with the least presence of singer South in terms of vocals. There’s a high quote of strictly instrumental songs on the album, something the band hasn’t done in the past. A Brief History opens the album while drowning in strings. It takes a while before the singer comes out of the shadow in the following Stars Make Progress. An epic over seven minutes long monster with an undeniable progressive vibe. Only the title-track with its slow grooving beat resembles a bit the traditional shape of THIRTEEN SENSES. A Strange Encounter remains very indefinite in terms of structure and clear lines. Short pieces like The Hour or Here And Now remain more sketches and less fully evolved songs. A song like the piano-driven Gathered Here a Stranger only provides vocals for the first two minutes before floating into symphonic highs. The really beautiful album closer In Time sees South and his voice almost disappearing behind the almost movie-score-like instrumentation. It’s kind of sad since his voice and talented songwriting was always one of the group’s biggest strengths. On the other side A Strange Encounter somehow also sees the band liberating itself from any expectations. But somehow it also feels a bit more like a tender final wave from a talented band like the desperately needed new start. This gives the new THIRTEEN SENSES record a somehow bittersweet aftertaste. And ironically that’s the most fitting environment for their music. 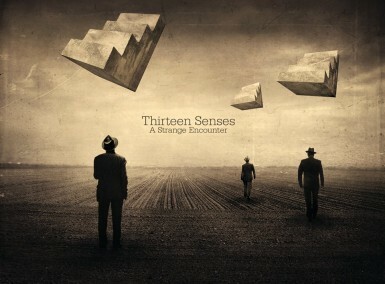 On ‘A Strange Encounter’ THIRTEEN SENSES free themselves form any expectations and pressure, resulting in their most ambitious but also most mixed record so far.